The global challenges we face are resistant to conventional policy measures. Tackling issues like inequality, climate change and migration requires new thinking, new collaborations and new practices. Meanwhile, it is widely argued that to create an inclusive and cohesive society, we need more people to be involved in these processes. This builds the case for policymakers to take a different perspective on innovation. Innovation has long been an interest for public policy, but mainly for the purposes of economic (or military) advancement. Now, however, policymakers are increasingly becoming interested in how innovation can be directed to broader social goals, and how innovation processes can be opened up to a much broader range of people and organisations. Copyright 2016 by Social Innovation Community. All rights reserved. 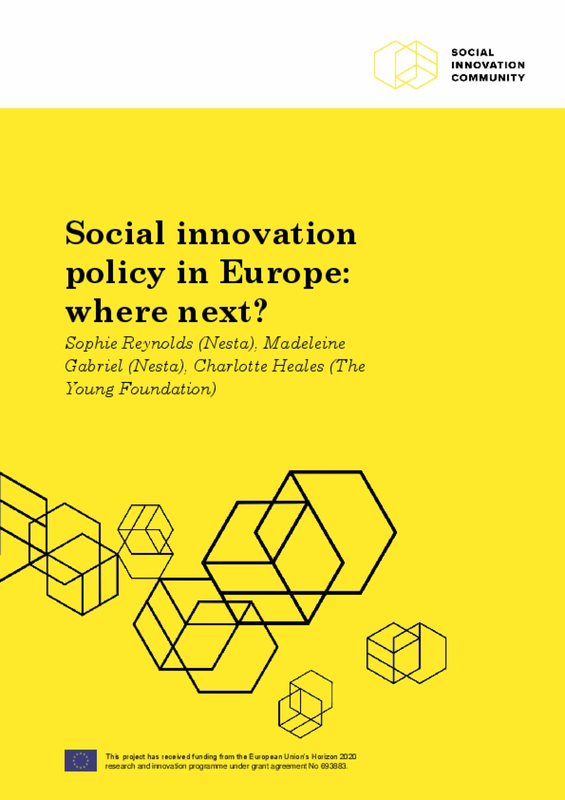 Title: Social Innovation Policy In Europe: Where Next?